A Tibetan film-maker jailed in China for making a film about the Olympics and Tibet has arrived in the United States after escaping from China, an activist group that campaigned for his release said. Dhondup Wangchen was jailed for six years in late 2009 in the western province of Qinghai after he made a documentary in which ordinary Tibetans praised the Dalai Lama and complained about how their culture had been trampled upon. The film, “Leaving Fear Behind”, features a series of interviews with Tibetans who talk about how they still love their exiled spiritual leader and thought the 2008 Beijing Olympics would do little to improve their lives. 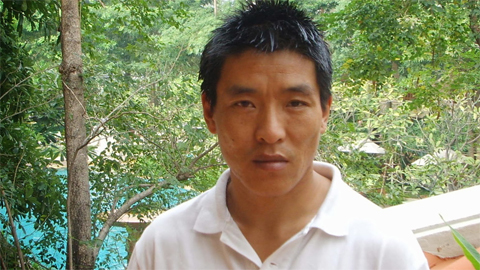 Dhondup Wangchen had been released from prison in June 2014 in the Qinghai provincial capital of Xining but remained under tight surveillance with his movements and communications monitored, the group said. “Dhondup Wangchen was able to successfully evade the authorities and flee from his home area in Tibet and then the People’s Republic of China altogether,” it added, without giving details. Asked about the case, China’s Foreign Ministry spokeswoman Hua Chunying told a regular briefing that she was not aware of it. The Xining police declined to comment and the Qinghai provincial government did not answer telephone calls.